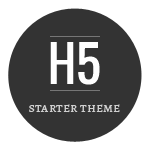 In an effort to inspire more WordPress theme designers to embrace HTML5, I am releasing the “H5” Theme Template. The H5 Theme Template is a bare-bones WordPress theme built entirely with HTML5 and styled with some basic CSS 3.0. As you may know, HTML5 provides greater flexibility and interoperability than previous markup languages, and enables us to build well-structured themes that are more flexible, interactive, and semantically precise. So using it to build awesome WordPress themes is a no-brainer. The H5 Theme Template provides everything you need to create beautiful themes with HTML5 right now. H5 contains a complete set of theme files and folders, and each file has been meticulously crafted with all of the latest and greatest WordPress functionality. As a template theme, H5 is designed with easy customization and personalization in mind, serving as a solid starting point for your next HTML-5-based theme. Unlike other frameworks, H5 works great as a basic theme right out of the box. Of course, this is a template theme we’re talking about here, so you will inevitably feel “inspired” to begin tweaking and styling its minimalistic appearance to get the design looking exactly how you want it. And that is entirely the point: H5 makes it quick and easy to begin designing themes with HTML5. And best of all, H5 is completely free. Sound good? Let’s dig into the specifics.. Contains no <div>s, <span>s, classes, or ids! For a closer look at the H5 Theme Template, check out our newly revamped DigWP Theme Clubhouse, where we showcase all of the (free and exclusive) themes that we release here at Digging Into WordPress. Note: to view the H5 theme, visit the Clubhouse and select "H5" from the dropdown menu. The body got the classes “home blog”? I saw the comments for the div-uses (“…not present in H5”), but no comment for the body? Will it work without the h5.js? Does it only break for IE? This looks great! 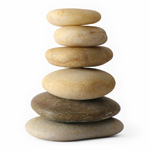 I’m all for going for HTML5, but I want the href-anywhere (Eric Meyer) to be present. That’d be awesome. Too bad the browser vendors ain’t exactly running behind playing catch-up with the standards. Then again I’d rather have CSS3 support on all major first. Absolutely agree with you. Hopefully this plugin will help a few more people get into HTML 5. It really is a powerful markup language and a lot of fun to boot. Cheers. Reading the code of your theme is a fantastic experience! It’s all clear! Thanks for this theme! how ’bout a tutorial on how to make a Theme Clubhouse with the drop-down? that’d be awesome. I had planed to do the same thing. However, now that you did it, I will get it and have a look. Well done, that is a great news for the community, keeping in mind that html5 might have a bright future. Really generous of you guys to put such a theme together for others to learn more about HTML 5 and experiment with it. Great pity though that it is not internationalised, that would have been the cherry on top, if you’d ask me! That is a great idea, and something I tend to forget when designing themes. The next version of H5 will definitely be internationalized. Thanks for the reminder! Really interesting. Think I will download and just look at the code to see how to build with HTML 5. Amazing new theme you have there, Jeff! I’ve downloaded a copy for personal references whenever I need clarifications for HTML5. Although it’s a simple and clean theme, it has so much goodness in it. I hope this will be one of the milestones in web development which marks the transition from (X)HTML to HTML. p/s: Congratulations to Chris for his work on WP Typo, and to you on H5 :) I forgot where I’ve seen them, but definitely they’re a part of the simple, clean and yet elegant WP themes list. Do you think that this would be aided with an implmentation of Mondernizr running in tandem; and of course removing the JS HTML5 shiv that comes with this theme in doing so? What are your thoughts on the use of that “library” (if you could really call it that). I haven’t tried Mondernizr, but it looks like it would certainly help account for browsers that don’t apply the CSS 3 rules. Keep in mind that Mondernizr does not add support for missing features, but rather enables a bit more control over the cascade. Damn time saver you are. Thanks. I have been wanting to play with HTML5, but haven’t had the time. Now I don’t have a reason not to.. Thanks the code. very useful. Hi thanks for this great work, i am putting together a HTML 5 tutorials website, would it be ok to link to your website ? i wish to teach others HTML 5 and your template would help others learn. I have just finished my free HTML5 template but as of yet i have not had a chance to create a wordpress HTML5 template. We easily could be. I think HTML5 is definitely the future and has lots of cool stuff, but I’m not exactly foaming at the mouth to use it. Users will never know the difference and, as we learned in this article, it requires some extra JS to be able to work properly in older browsers. When we redesign, we’ll probably go with it. Thanks for the code, i want to use it right away.